Now when you go to Maps and select the ride share option for transportation, you still get the price estimates from Lyft and Uber, but have a button to take you out of maps and into the ride share provider’s app. It is unclear why this change happened or who even instigated it – Google, Lyft or Uber. In reality, it matters little. You will now have to go out of the app to book your car. 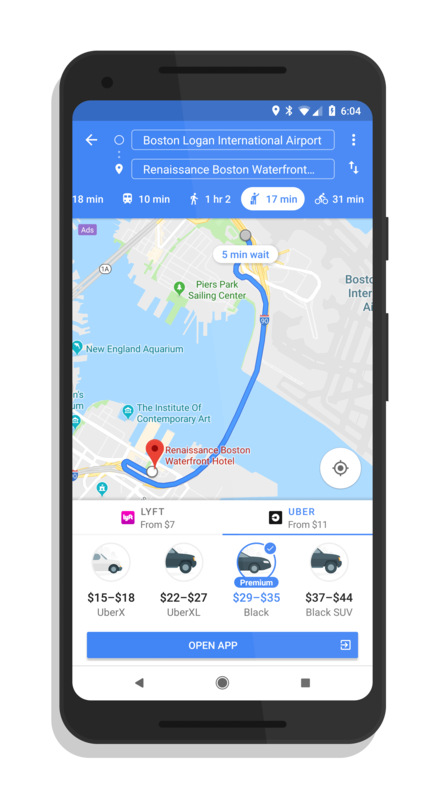 The good news is that if you have mapped out a destination and then go to either the Lyft or Uber app, the destination is auto-populated within that app so you don’t have to recreate it.